With her matric examinations out of the way, rising South African 400m hurdles champion Gontse Morake (17) is now poised to overcome another test – of the athletics kind – at the Africa Union Sports Council Region 5 Youth Games. 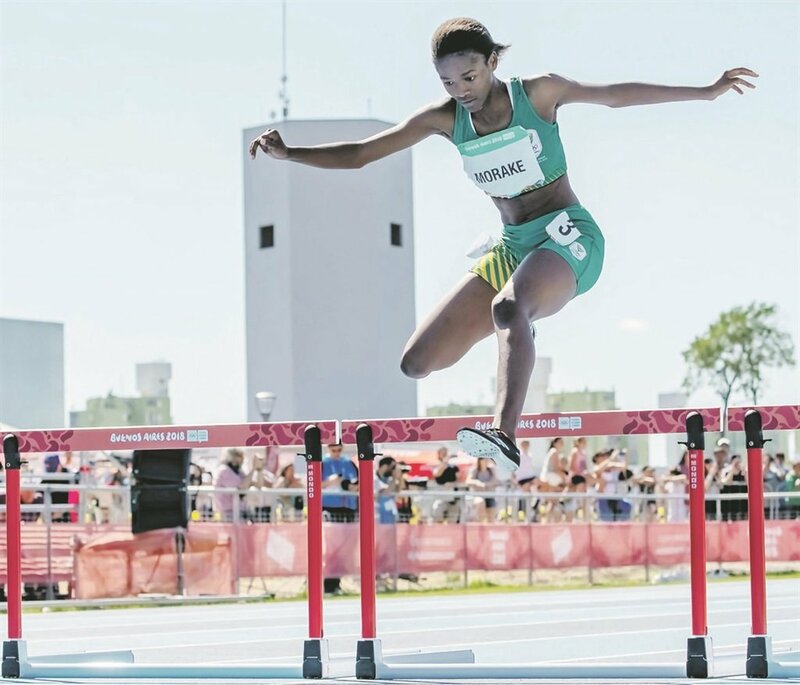 She is one of the promising young athletes who will lead Team SA’s charge at the regional event, which gets under way in Gaborone, Botswana, on Friday. The multicoded championships comprise basketball, boxing, football, judo, netball, swimming, athletics, tennis and volleyball. The event ends on December 16. Morake has enjoyed an upward trajectory since her exploits at the IAAF Under-18 World Championships in Kenya last year. Although she fell short of qualifying for the final in her specialist event – the 400m hurdles – she bagged bronze as part of the 4x400m mixed relay team at the global spectacle in Nairobi. A year later, Morake took things up a notch by reaching the final at the Youth Olympics in Argentina in October. She finished sixth. The former pupil at Prestige College in Hammanskraal will want to finish the year on a high at the tournament in Botswana. Her 400m hurdles Under-18 record of 57.81 seconds has earned her the ranking of fourth in the world. She achieved this in April at the Athletics SA Under-18 and Under-20 Championships, held in the Western Cape. In doing so, she beat the previous mark of 57.91 seconds set by Gezelle Magerman at the 2014 Youth Olympic Games. New track and field stars are set to emerge at the regional competition as the bulk of the Gaborone-bound team is made up of youngsters adept at athletics, football, netball and swimming. Team SA already boasts medallists from the Argentina Youth Olympics in Dune Coetzee, who won a silver in the 200m butterfly, and 50m breaststroke champion Michael Houlie. South Africa is expected to continue dominating in the Region 5 Games. The participating countries are Zambia, Zimbabwe, Malawi, Angola, Namibia, Mozambique, Lesotho and Swaziland, as well as host Botswana. The games are held biannually on a rotational basis. At the last event in Angola in 2016, Team SA topped the medals table with a total haul of 123.